Surf School artist Eddie B combines forces with producer Harry Fraud for a new collaborative projected titled The Johnny Utah Story. The wordsmith serves up six new original songs for fans and also includes the instrumentals for each Harry Fraud produced track. 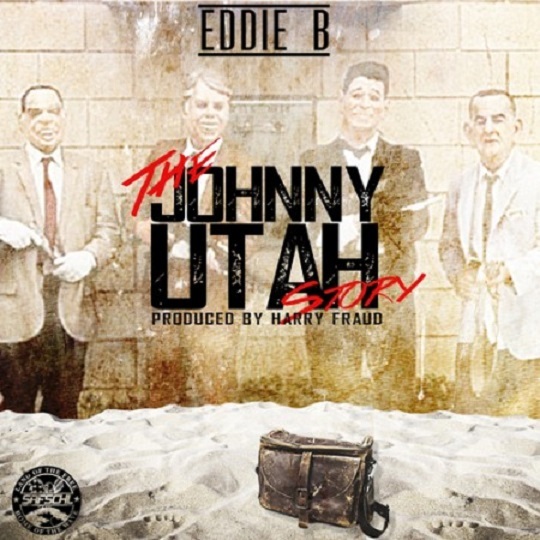 Take a look at the tracklisting provided for details and CLICK HERE to download Eddie B’s latest offering with The Johnny Utah Story. This entry was posted in Music and tagged Eddie B, harry fraud, hip hop, mixtape, surf school, the johnny utah story, trap. Bookmark the permalink.